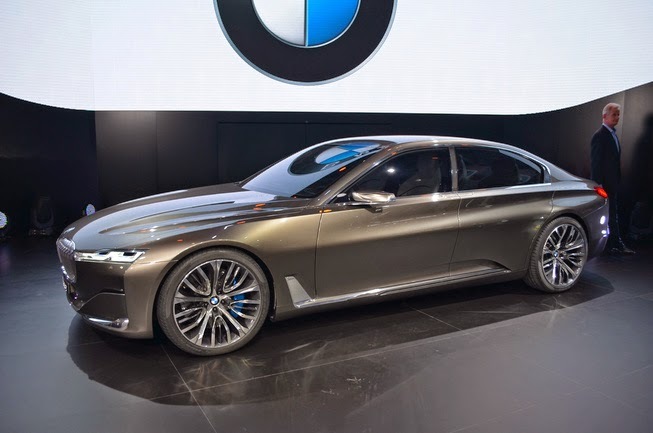 Beijing Auto Show utilized completely by the automobile manufacturer, BMW is no exception. 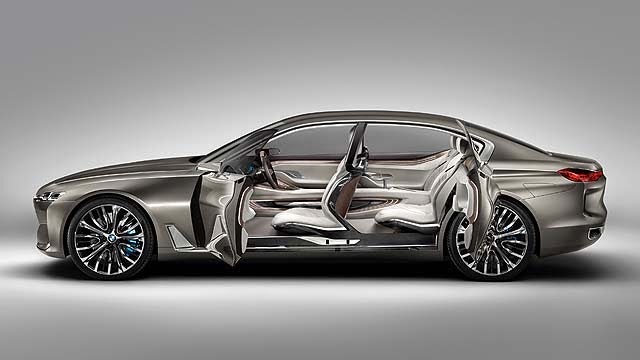 In the event, the German manufacturer unveil a concept car that will be used as the basis for the production design in a luxury 7-Series. 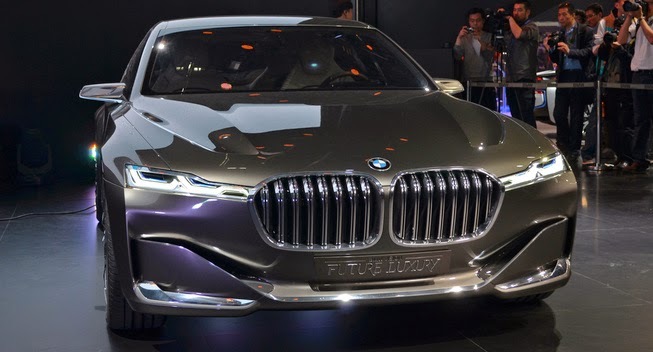 As quoted from the BMW's official statement on Monday, April 21, 2014 in Beijing, the Bavarian auto manufacturer unveil a concept design called the BMW Vision Future Luxury, which comes with innovative technology to deliver a more comfortable driving experience. Furthermore, according to BMW, the concept of this car is the answer to the need for an emotional and exclusive driving experience. Indeed, the touch is felt on the exterior and interior. The concept carries Bronze Liquid Platinum exterior with twin grille flanked by the laser light on the front with the unique door. This model also has the air deflectors are made of carbon fiber, chrome trim, with the OLED based rear lamps. And for the interior, the steering center concept car is surrounded by a hardback cluster instrument which consists of three screens with three-dimensional technology. Left screen shows information related to the vehicle, while the middle panel shows the speedometer. While the right of the screen shows the infotainment information. 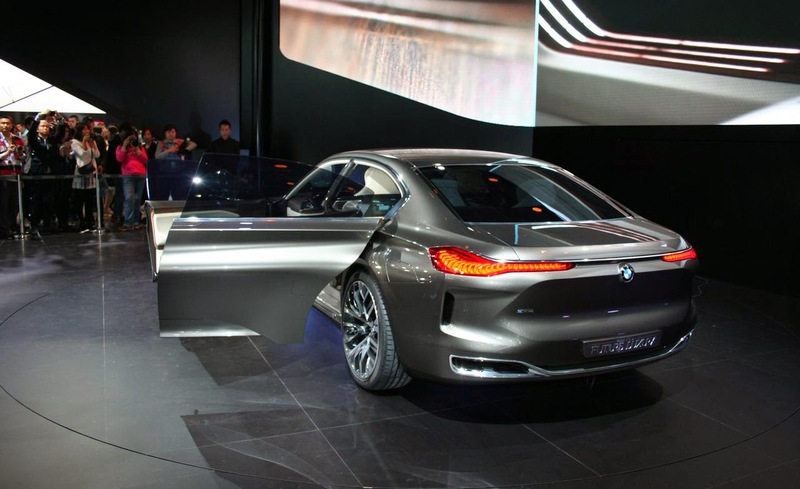 The concept also has a 'contact analogue' that called BMW Vision Head Up Display. BMW explains, this feature can increase the visibility of the driver with the road conditions. As a result, buildings, traffic signs or danger can be seen directly as well as directing the driver to see important information at any given time. In addition to the driver convenience, passengers were also spoiled in this concept. Evidently, the two screens and Touch Tablet Command provided to access travel-related information. Passengers can also access entertainment content including video, music, and gaming services via the device.